What’s This? 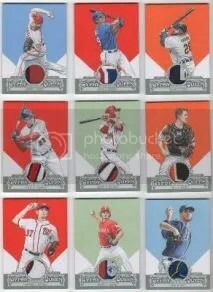 Strasburg’s Chicle Rookie? Art can do a lot of things. It can inspire. It can make you feel happy. It can make you feel sad. For some people it can tell them the meaning of life. Art really doesn’t have any limits. Anything goes. Artistic sets aren’t anything new when it comes to sports cards. Manufacturers have been going that route for certain products for a long time. Topps had an interesting encounter with collectors when they issued Chicle Baseball in 2010. 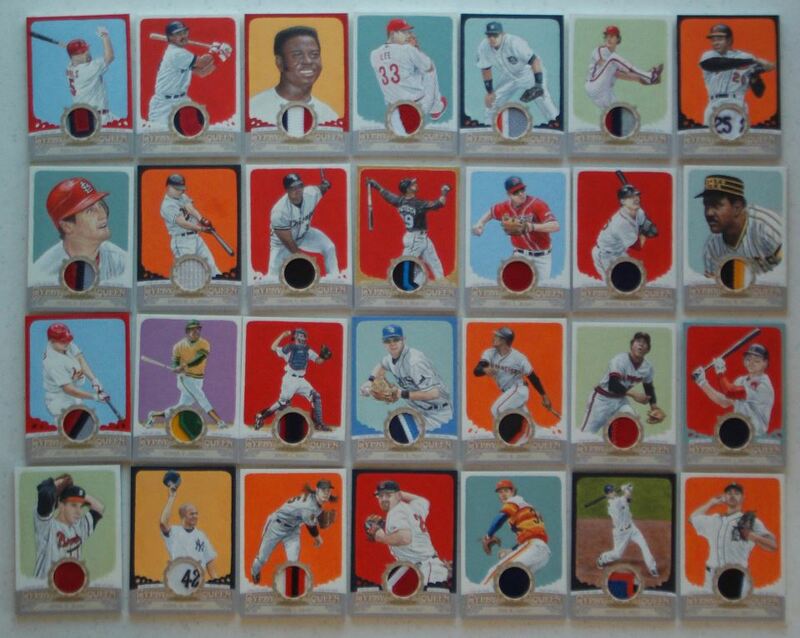 Twelve artists were commissioned by Topps to create this 329 card set. Chicle Baseball isn’t your typical artistically driven product. 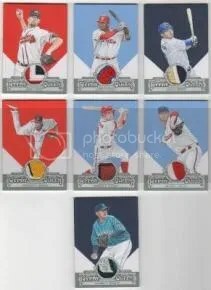 Some of the cards feature players in uniforms that they never played in. Probably the most notable example if this would be the Babe Ruth #276 SP. 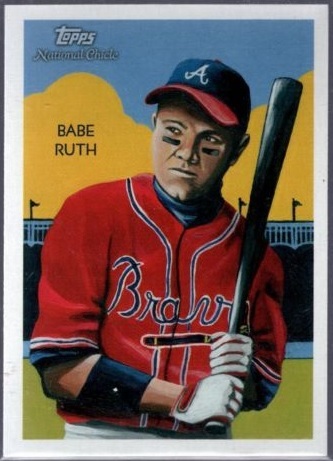 Collectors were up in arms about Ruth being painted wearing a Braves uniform. Babe Ruth did play for the Braves, just not the ones from Atlanta. 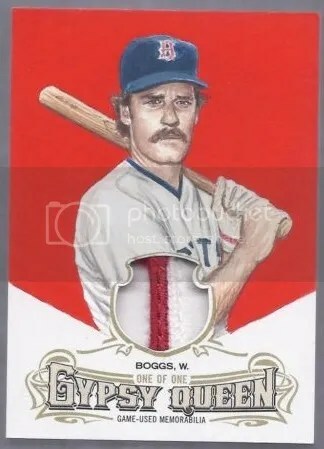 You would’ve thought Topps had set a basket of puppies on fire given the reaction collectors had to this angle of card design. Apparently art can make people a little angry too. Needless to say, Topps hasn’t issued another Chicle set since. I’m going to buck the traffic and come out and say that I enjoy the set. It got people talking. That’s something that very few products do today. 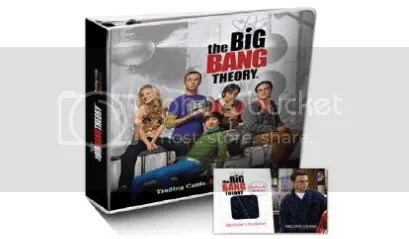 One of the twelve artists that worked on this set was Monty Sheldon. He’s responsible for painting guys like Stan Musial, Rogers Hornsby, Joe Morgan, and Stephen Strasburg. Wait a second! 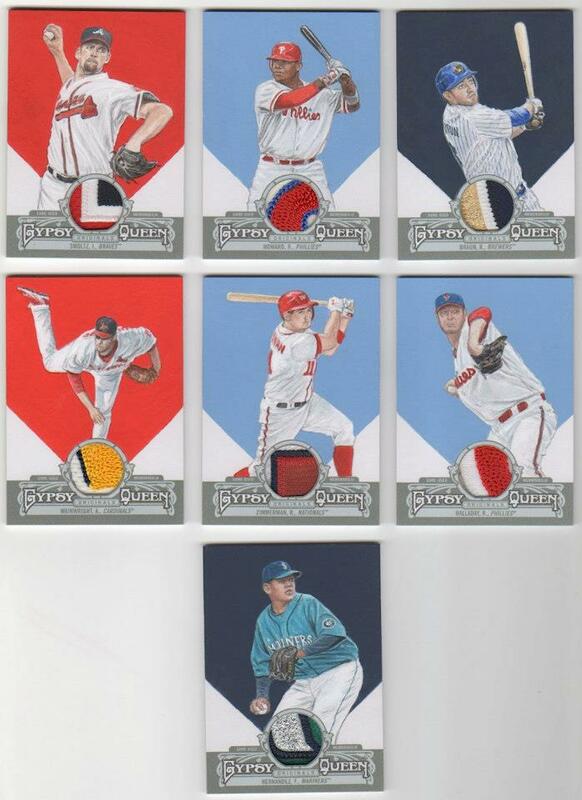 Stephen Strasburg isn’t in this set… or is he? 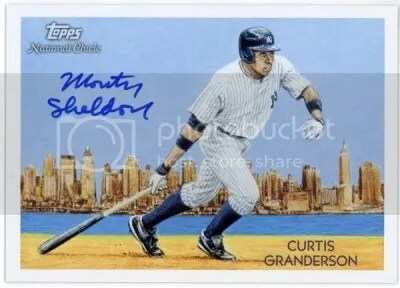 Shortly after Topps released 2010 Chicle Baseball, Monty Sheldon was commissioned to do a painting for an individual. 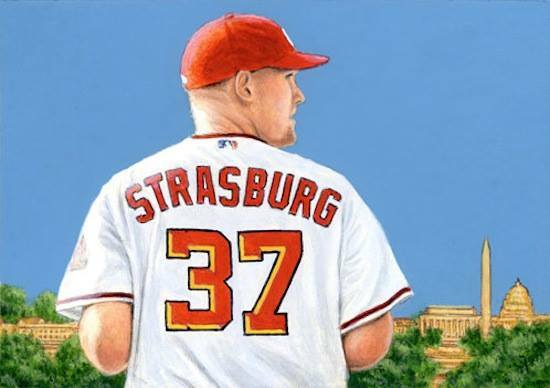 This painting was to be of Stephen Strasburg and designed to look like one of the paintings Topps would use for their Chicle set. Upon its completion, Monty Sheldon made some 2010 Chicle mock-up cards based on his work which now reside with the painting’s owner. This card was almost officially released by Topps in the later part of 2010. Monty Sheldon told Topps about the painting hoping they would want to make it into a card to insert within another product, but they decided to pass. Between Chicle not taking off, and Strasburg hurt by that time of the year, it just didn’t make it in. 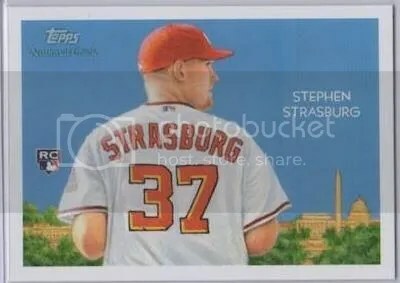 Even though it wasn’t officially made by Topps, I’m sure there are a couple of die-hard Strasburg fans that would like to get their hands on one of these. This card #330 isn’t easy to find. In less than a month, the 2013 baseball season will be here. Teams are already in the middle of spring training hoping that this is the year they make it to the World Series. One of the first products due to be released early in the season is 2013 Topps Gypsy Queen. Gypsy Queen is returning for a third year as it seems to be popular with many set collectors. 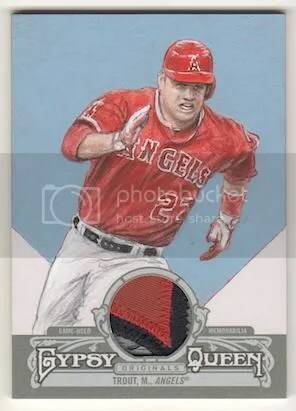 Among all the variations, parallels, autographs, and gimmicks that drive collectors nuts, is what I consider to be some of the nicest looking modern day cards produced – the art/patch relics each numbered to 1. Sports artist Monty Sheldon is one of the faces behind these 2.5″x3.5″ 1/1 masterpieces which each contain a multicolored swatch. Sheldon made 25 of these for Gypsy Queen this year, and if the past is any indication, they will most likely command major dollars on the secondary market. Just look at what his David Wright art/patch card from 2011 recently sold for. With the release of Gypsy Queen right around the corner, Monty sent over some scans of the cards that he did for this year’s set. These are by far some of the most difficult cards to pull. To keep up with all of Monty Sheldon’s artwork be sure to check out his Facebook page. 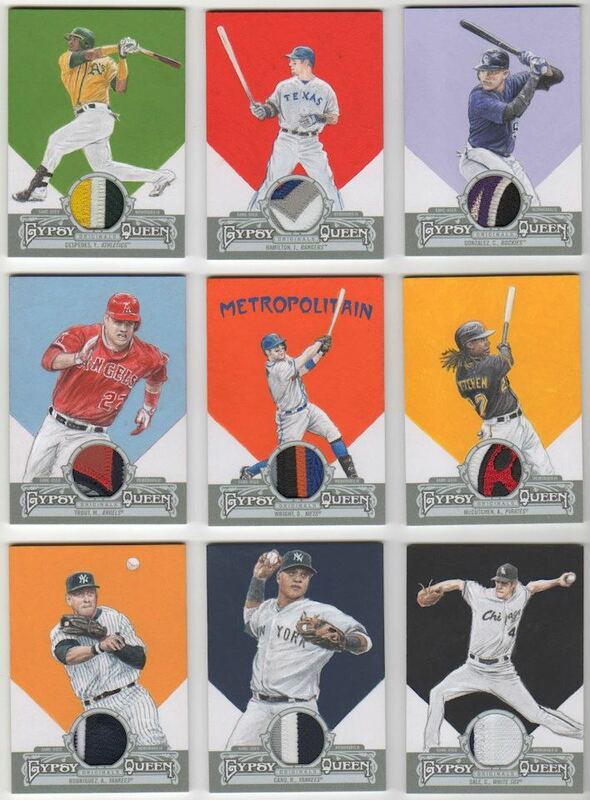 Last year Topps introduced collectors to the patch sketch cards found in Gypsy Queen Baseball. They were some of the most sought after cards within the product. Most of them sold well into the high hundreds of dollars. 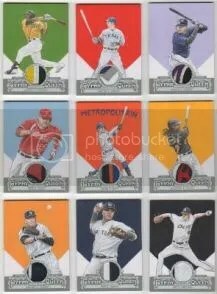 It looks as if Topps will continue to have patch sketch cards in the 2012 version of Gypsy Queen Baseball. Sports artist Monty Sheldon has created 28 patch sketch cards for Gypsy Queen this year. This evening Mr. Sheldon released the above preview of his work you can look for. They look really great! Of coarse they’re all serial numbered 1/1.